Dr. Bennett is a native of Pineville. He received his Bachelor of Science degree in Biology from University of Louisiana at Monroe and completed his Doctorate of Optometry at the University of Houston – College of Optometry. 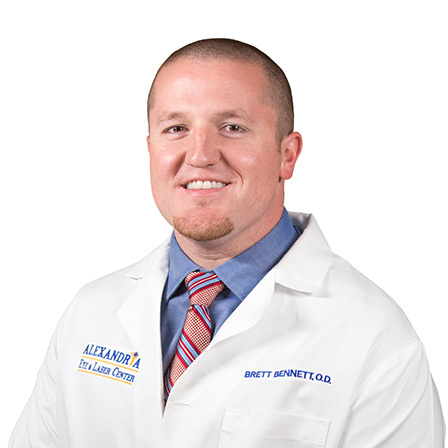 Dr. Bennett joined Louisiana Eye and Laser in July 2015 and is a resident of Pineville, Louisiana. He provides routine eye examinations for all ages and fittings for contact lenses and glasses in our Pineville office. Dr. Bennett also sees patients in the Alexandria, Urania, and Leesville offices. Dr. Bennett also has special interest in specialty contact lenses, ocular disease, and vision therapy.